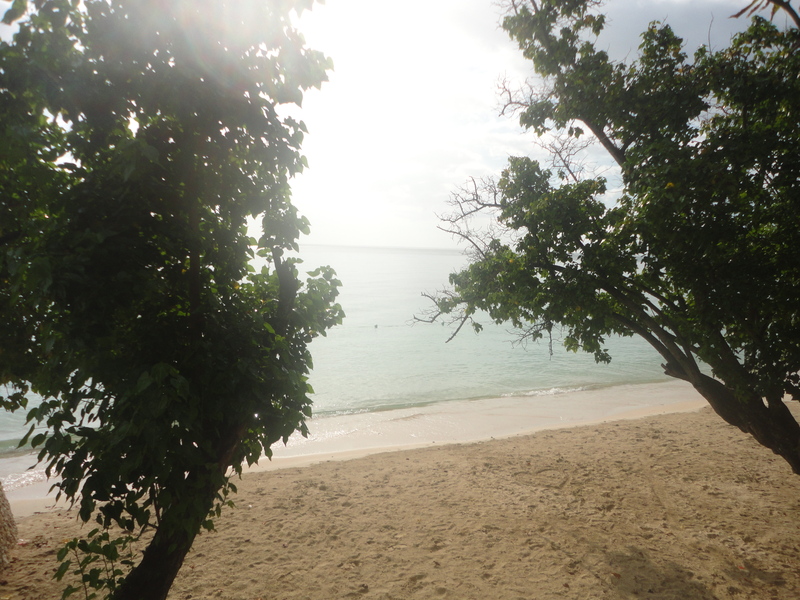 One of the best parts of summer is hitting the beach and luckily in the Caribbean we enjoy summer all year long. 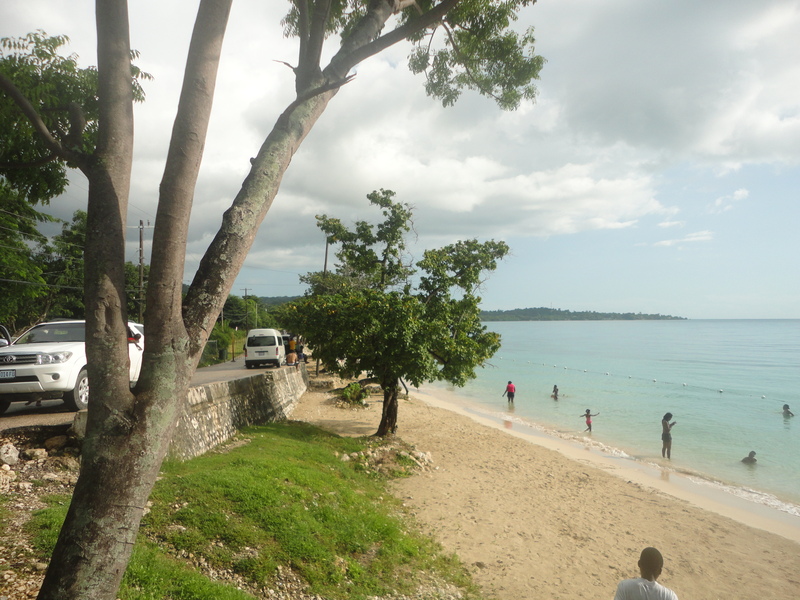 A recent trip to St. Elizabeth turned into a spontaneous visit to Bluefields Beach in Westmoreland, the adjoining parish. 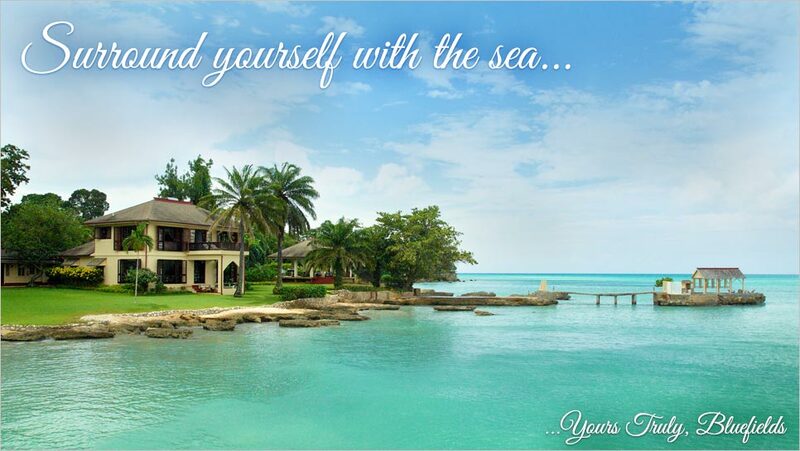 Bluefields is a quiet fishing and farming village located on Jamaica’s South Coast. The area houses a number of private villas, cottages and small bed and breakfast style accommodations. It is a great option for travelers seeking a quiet escape and a “go at your own pace” sort of vacation offers. It is quite easy to overlook Bluefields en route to Negril , the more popular spot in the parish. 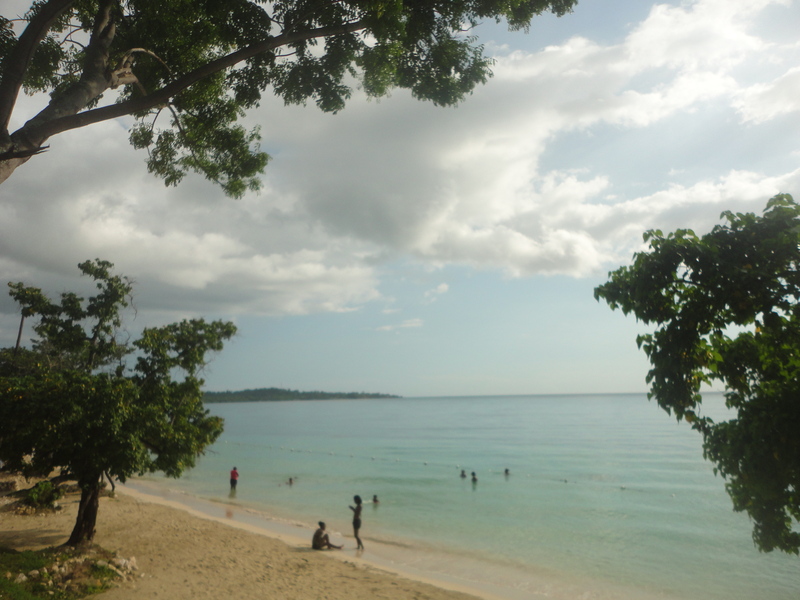 Bluefields Beach is among one of the few remaining public beaches in Jamaica . The beach is about 1km and is a favorite with locals on Public Holidays and some weekends. In the week ,it is however pretty low key. 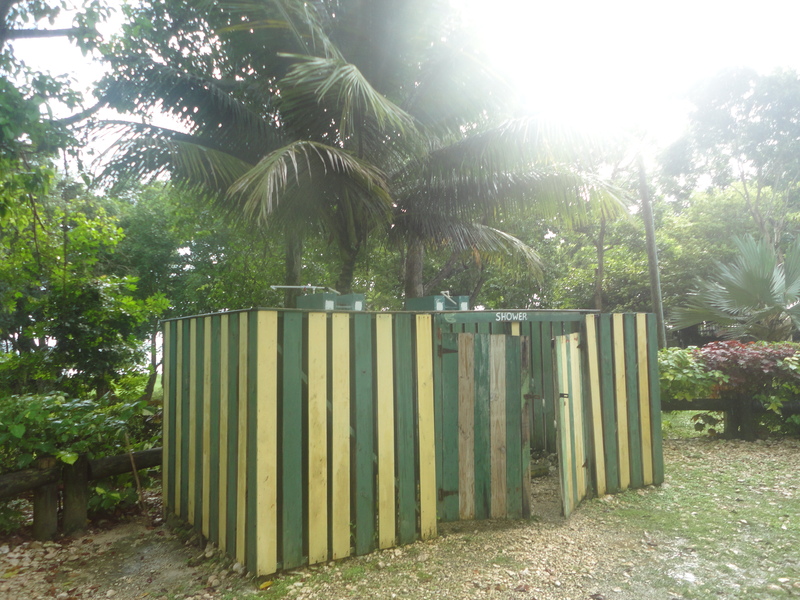 Access to the beach itself is free but there is a small fee for use of the facilities of the Bluefields Beach Park , which is opposite the beach. 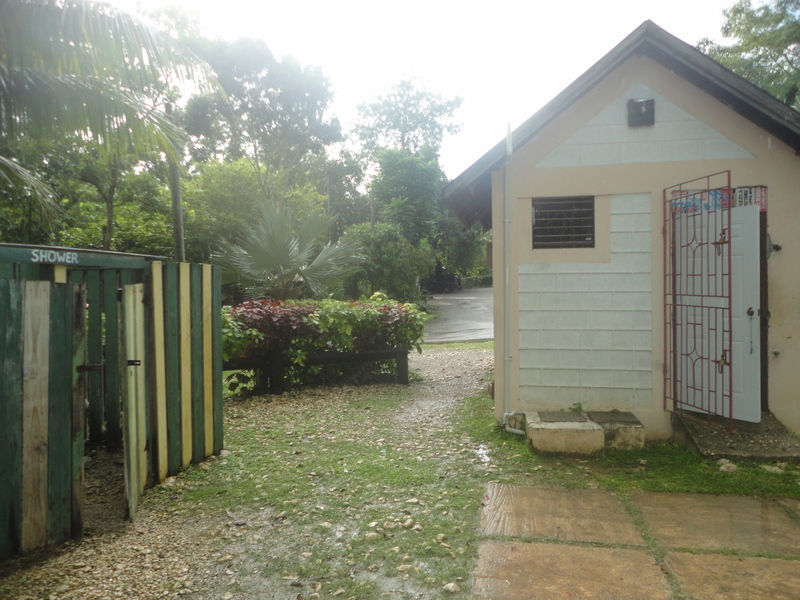 There are changing rooms, showers and rest room facilities available in the beach park. You can also enjoy scrumptious seafood and cold beverages from the bars and restaurants or street vendors. It is overall the perfect spot to chill with family and friends. Bluefields is a great option for travelers seeking a quiet escape and a “go at your own pace” sort of vacation. Rent a villa or cottage in the area and go spear fishing or snorkeling at the nearby Belmont Beach. If you are a fan of Reggae history and music you can visit Peter Tosh’s mausoleum. Peter Tosh was a member of the group Bob Marley and the Wailers , before he broke away to pursue his solo career. They offer a brief tour of the musician’s place of birth and entombment. There is an annual concert, held each October to celebrate his life and music. From the area it is easy to further explore the laid back charms of Jamaica’s South Coast by taking day trips to places like Black River, YS Falls, Ipswich Caves and Appleton Estate. Bluefields is a stark contrast of the neighboring town of Negril , which is a very good thing if relaxation is your ultimate goal. Best of all you can break all the rules and just choose to do nothing! Happy Travels! This is a great article. I love it, it makes me want to go right now 😉 I am new to your site and I am glad I subscribed to tavel addict, which lead me to Jamaica Addict which in turn had an article about you and your site. How cool is that? Love the energy of this site. Thank you so much! You guys have thought of everything. I am a fan already. I thank you in advance for all the thought that you guys put into this joint venture. I appreciate the time you took out of your busy schedule to talk to me. Previous Previous post: Dolphin Cove- A Tick On The Bucket List.